Lois (Mom, Grandma, Grandma "G") Maxine Rice, left us on Saturday, November 17, 2018. Born to Donald and Melvina McCulloch in Hoquiam, WA on July 17, 1928, Lois was the oldest of two daughters (Donna Mather (d. 1987) was the youngest. She attended Weatherwax HIgh School in Aberdeen, WA where the story goes, she pointed out a handsome young man to one of her friends and said "I'm going to marry him." Sure enough, she married the young man, Lee Rice (d.2012), on August 31, 1946. From their first residence, a tent in a logging camp, to their first houses in the West Seattle and Arbor Heights neighborhoods of Seattle, WA (first on Austin Street and then on 32nd SW - both built by Lee), to their cabin on Mason Lake (built by Lee), home was wherever they were together. 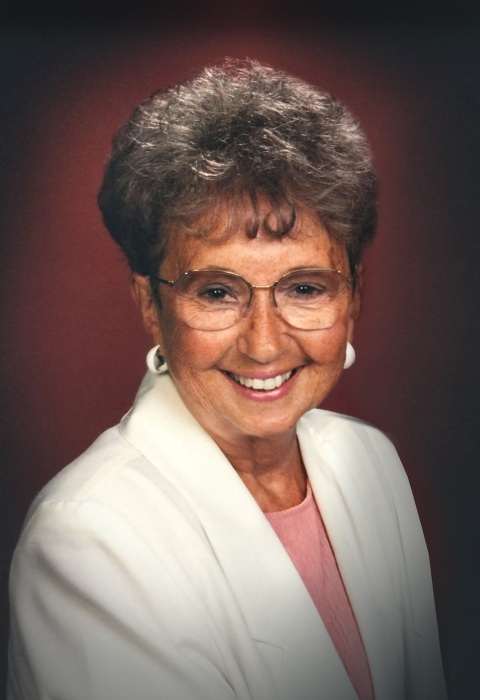 Over the years, Lois worked different jobs including working at the Tupperware warehouse, clerking for the SPEAA and clerking for King County Elections from which she still enjoyed meeting former co-workers for monthly lunches ("Over 80 Lunch"). But she will probably be best remembered for her craft and baking skills; everything from sewing her own square dance dresses and knitting to baking the best coffee break "goodies" and pies ever made. She is survived by her daughter, Vicki Rice of Shelton, WA; son, Donald and daughter-in-law, Sarah Rice of Seattle,WA; grandson, Jesse Rice and graddaughter-in-law, Pari Shah of Redmond, WA; granddaughter, Nikki Rice and grandson-in-law, David Malki of Hawthorne, CA and her great grandson, Benjamin Lee Malki of Hawthorne, CA, as well as numerous nieces, nephews and dear friends. Donations can be made to American Cancer Society (www.cancer.org) or National Kidney Foundation (www.kidney.org). No Services will be held but we ask you to celebrate her life at every coffee break with the best "goodie" you can find.